Portland is a haven for music lovers of all kinds. The city is equipped with a variety of lively music venues, comprehensive record stores, and several annual music festivals celebrating both local and international talent. 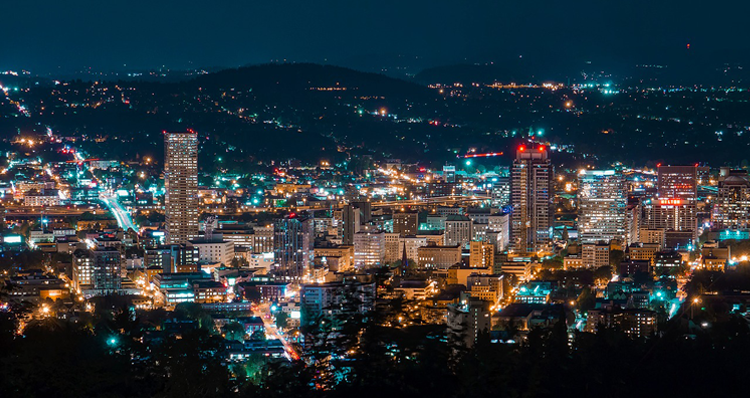 If you’re new to the city or simply passing through for a visit, use this guide for a behind-the-scenes look at Portland’s thriving music scene — whether you’re searching for an obscure vinyl or you want to see a local band play before they’ve made it big. Housed in a former church along the vibrant Mississippi Avenue, this mid-sized venue boasts incredible acoustics and clear-as-day sight lines. Plus, Mississippi Studios is accompanied by Bar Bar, serving exceptional burgers and drinks from a full-service bar. There’s also a spacious and inviting outdoor patio, indoor lounge seating, and a secret garden in the back. The venue has two levels — an upper balcony with seating and an open area (equipped with cozy rugs!) for standing on the ground floor. Step into the former Washington High School building in Southeast Portland, where you’ll find Revolution Hall, a private event space and music venue with a unique rooftop deck. This expansive 113,500-square-foot building has been extensively remodeled yet hasn’t lost any of its original charm and unique schoolhouse feel. Concerts are held in what once was the school’s auditorium, which features over 800 seats split between a wraparound balcony and the ground floor. Before or after the show, enjoy the unbeatable views at The Roof Deck — one of the best rooftop patios in the city — and one of the many event spaces within the building. Apparently, churches transforming into music venues is a major theme in Portland. Wonder Ballroom is housed in what was originally Hibernian Hall. 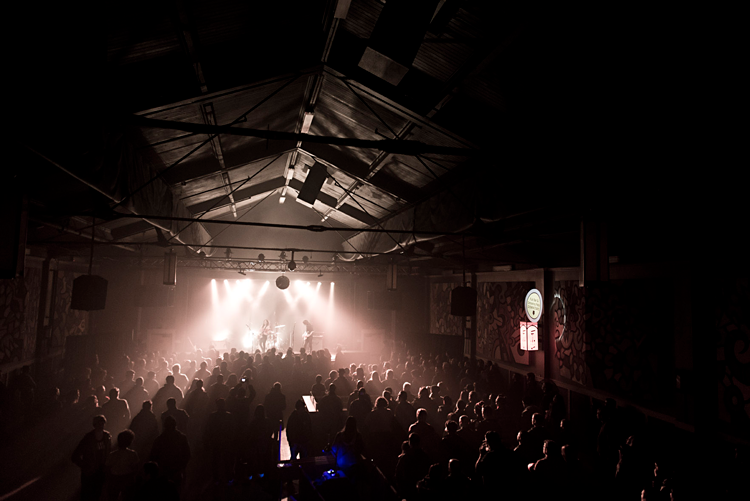 Opened in 2004 as Wonder Ballroom, this space is considered one of the city’s best mid-sized concert venues. Due to the quaint size with a 778-person capacity, the sight lines remain unobstructed, even from the balcony. The Spanish Revival-style building provides a gorgeous setting for hearing live music. This brand new music venue and lounge is perhaps one of the trendiest places to listen to music in the city. Drawing inspiration from the swinging days of jazz and the modern club scenes of the world’s most influential cities, No Vacancy is an undeniably unique music setting in the heart of downtown. Recline in the chic Art Deco-inspired space with a speakeasy vibe to hear local jazz legends, a renowned DJ or an electronic artist. 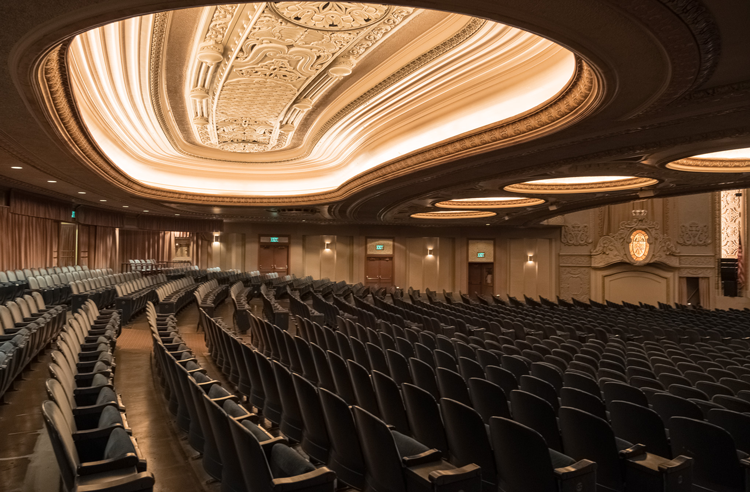 The historic and elegant Arlene Schnitzer Concert Hall is a must for classical music fans. Originally called the Portland Public Theatre when it was built in 1928, “The Schnitz” hosts a wide range of prolific performances, including classical, jazz, pop, rock, folk and gospel music, plus dance, theatre, films, conferences, and even weddings. The space is ornate and spacious, complete with both an orchestra level and several balconies. 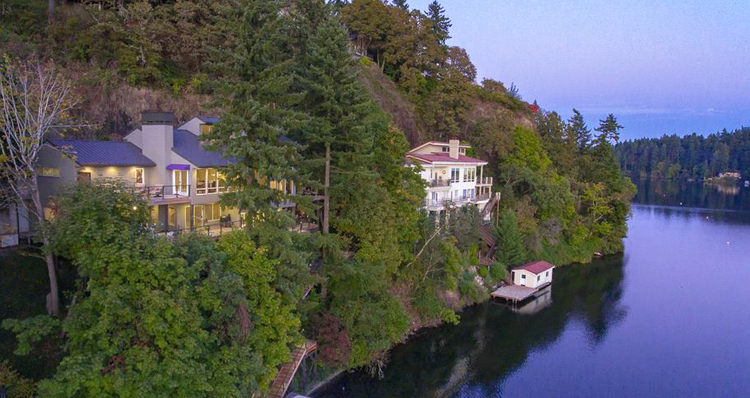 Whether or not you’ve seen the interior, it’s likely you’ve passed by the famous “Portland” sign hanging outside! Ask any Portland native and they’ll likely know all about Music Millennium, which has been around since 1969. After nearly 50 years, Music Millennium remains the oldest record store in the Pacific Northwest. Throughout their history, they’ve stocked the ever-changing gamut of formats, including LP, LP, 45, reel-to-reel, 8-track, cassette, DAT, compact disc, mini-disc, DCC and CD-ROM. Today, you’ll find a wide selection of records (and CDs!) and a resource for endless local knowledge in the store’s owner, Terry Currier, who is the president of the Oregon Music Hall of Fame. Terry also coined the term “Keep Portland Weird” and has his very own holiday! With several locations throughout the Portland Metro, Tender Loving Empire is one of the best places to get an up-to-date reading of the city’s latest bands and musicians. 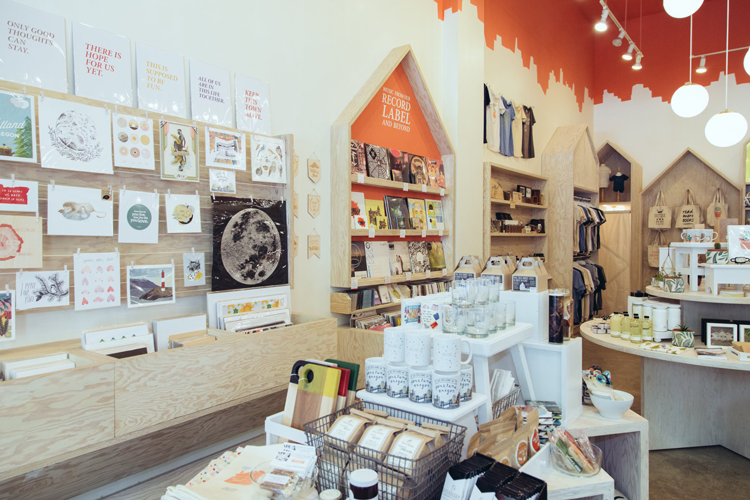 The store is operated by the Portland-based TLE label. 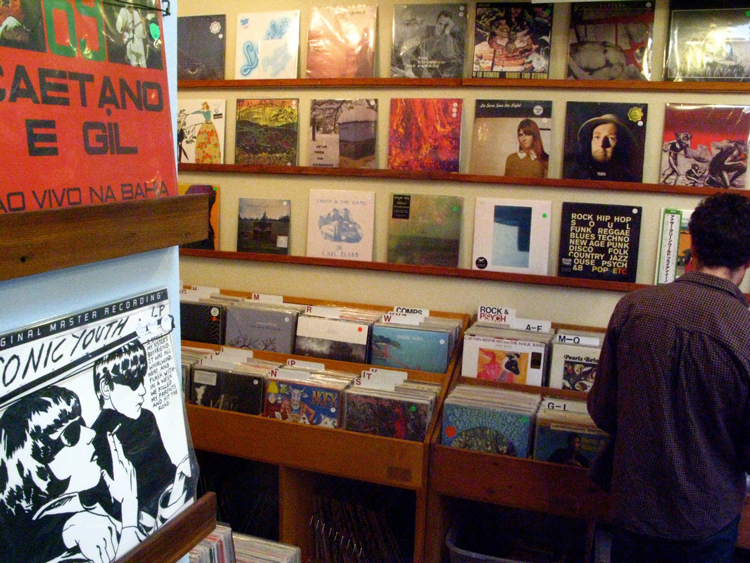 At each of their stores, they carry a mixture of music from their label as well as some of their favorite selections from Portland artists. Not to mention, each Tender Loving Empire location is beautifully designed, and has plenty of gifts and specialty items to peruse. If you’re searching for something a bit more obscure, Exiled Records is your place. Frankly, it’s a dream for music lovers to discover new music or be reunited with a lesser-known album. Whatever you’re anticipating (or not anticipating!) to find, there’s a good chance you’ll find it at Exiled. Beacon Sound is a record label and shop nestled in a small space along the lively Mississippi Avenue. They carry a carefully curated selection of records, covering an array of genres with a focus on electronic, indie, modern classical and ambient music. This independent record store aims to form a community of friends and collaborators and become a home for all sorts of happenings, like intimate shows and artist meetups. Not only is Jackpot Records one of the city’s finest record stores, but they are also a record label and sometimes even an intimate music venue. 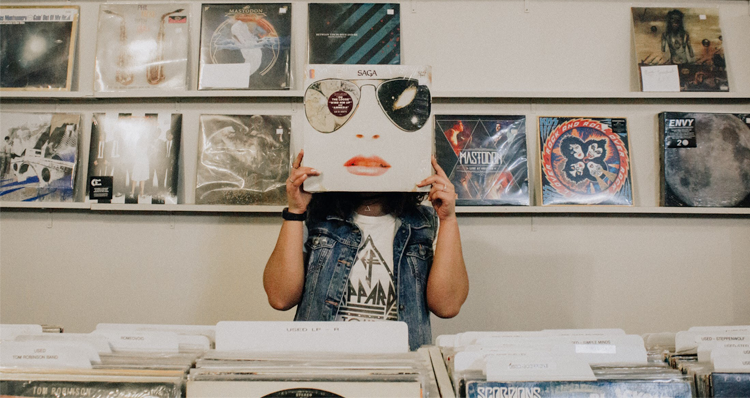 Head to this renowned store on Hawthorne to peruse their curated selection of new and used vinyls, CDs, DVDs and various collectibles. 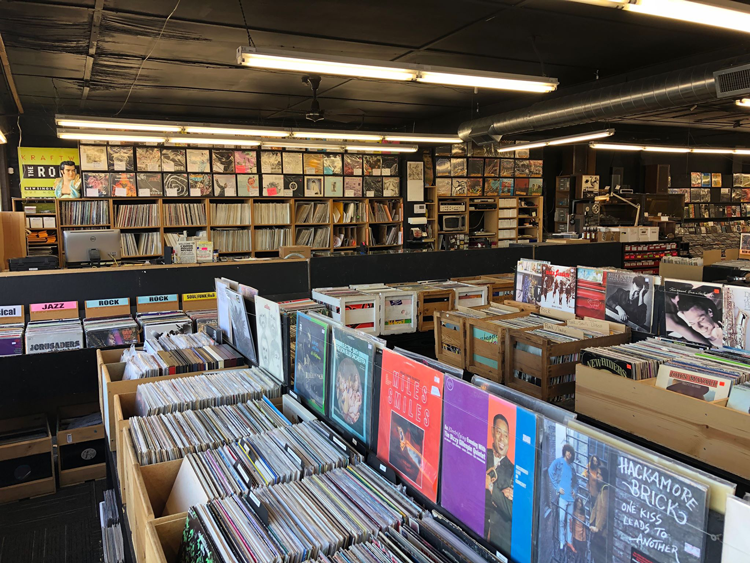 Home to what many consider the most extensive record collections in the city, Crossroads offers an all-inclusive record browsing experience. That’s because Crossroads holds used vinyls from over 50 music dealers, who each maintain their own inventory on a consignment basis. You can browse here for hours and barely skim the surface of all that Crossroads has in store. But you’ll likely come home with a treasure or two! Mississippi Records is an independent record store and label founded in Portland in 2003. Since then, the label has released over 240 records spanning nearly every genre, ran a successful business in the shop, and most recently, embarked on a tour across the country! They’ve done all of this with a limited online presence, no promotion and no advertising — except this minor plug right here. 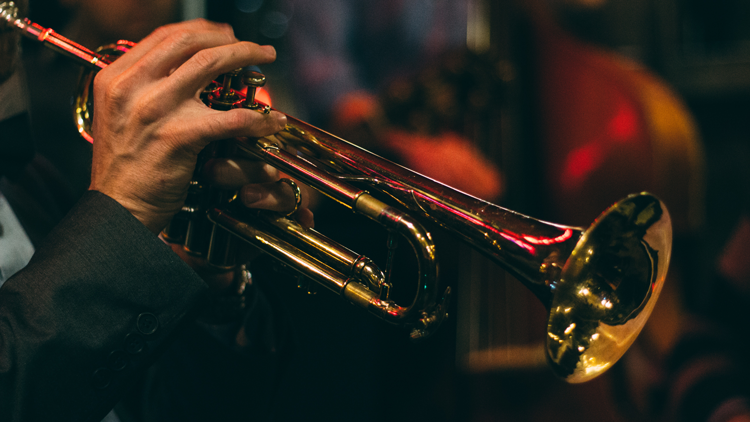 Designed to celebrate both the beloved genre of jazz and Black History Month in February, the Portland Jazz Festival is organized by PDX Jazz, a nonprofit cultural arts organization dedicated to curating jazz in Portland. Each February since 2004, the festival features performances by major international artists and local up-and-coming talent. PDX Pop Now! is a must for all music lovers in the city. It’s arguably the best annual event for discovering Portland’s finest up-and-coming artists. Plus, PDX Pop Now! is completely free and open to all ages. This volunteer-run festival takes place each July under the Hawthorne Bridge on the Eastside. Grab a bite to eat from food trucks parked on site and enjoy a beer from the beer garden, knowing the proceeds from your purchases will go towards keeping this community tradition alive each summer. Kick off your Fourth of July celebration with the Waterfront Blues Festival, the largest celebration of blues, soul, funk, and rhythm and blues this side of the Mississippi. This long weekend is filled with amazing performances across four stages, lots of food, local vendors, river boat cruises and more! MusicfestNW presents Project Pabst, a celebration of music, beer and all things local. This two-day, two-stage festival features some of the biggest and best acts of local music at Waterfront Park in downtown. Considered one of Portland’s most renowned music festivals, Pickathon is a three-day celebration of talented artists from both near and far. In fact, the festival is so “Portland” that season six of Portlandia kicks off with an episode taking place at Pickathon. Head to Pendarvis Farm in Happy Valley to be a part of this exciting celebration of music covering a wide variety of musical genres. The band’s name on Twitter is LORDS OF PORTLAND so it’s safe to say they’ve adopted PDX as their hometown despite having formed in Wasilla, Alaska. Portugal. The Man’s mix of alternative rock and psychedelic experimentation is one that has blended well with the Pacific Northwest music scene — and has exploded across the nation. Their most recent album, “Woodstock”, was released in 2017 and is nearly 40 minutes of pure fun. Blitzen Trapper has been steadily jamming since 2000, but 2007 brought their third album, “Wild Mountain Nation” and the first to be released with a major record label. The title track landed on Rolling Stone’s list of the 100 Best Songs of 2007 and the rest is history. Since then, the group has released six more albums, including “Wild and Reckless” in 2017 in addition to three live albums. 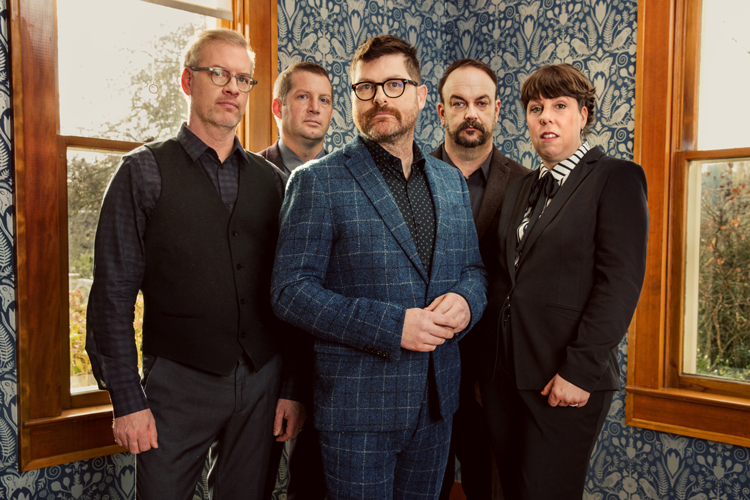 This quirky and crooning quintet has been breaking hearts — and mending them, mostly through laughter — since their debut album was released in 2002. Colin Meloy’s theatrical and hyper-literate pop lyrics are often history- and literature- based. And they even have a rock opera under their belt: 2009’s “The Hazards of Love”. If you’re not already a superfan of this hysterical and musical group, just give them a quick listen on Spotify, where you’ll find nine albums as well as 18 singles and EPs. Since their debut album in 2008, Blind Pilot has created a name for themselves both in the Northwest indie scene and across the country. There were five years between the group’s last release and their 2017 album, “And Then Like Lions”, but the graceful and reflective record did not disappoint. Formed in Issaquah, Washington and currently based in Portland, it’s usually safe to assume you’ve heard a Modest Mouse song — even if you didn’t realize it. As one of the most popular musical groups out of PDX, they’ve been making international, indie rock hits since the 1990s, including their most well-known jams “Float On”, “Dashboard” and “The World at Large”. 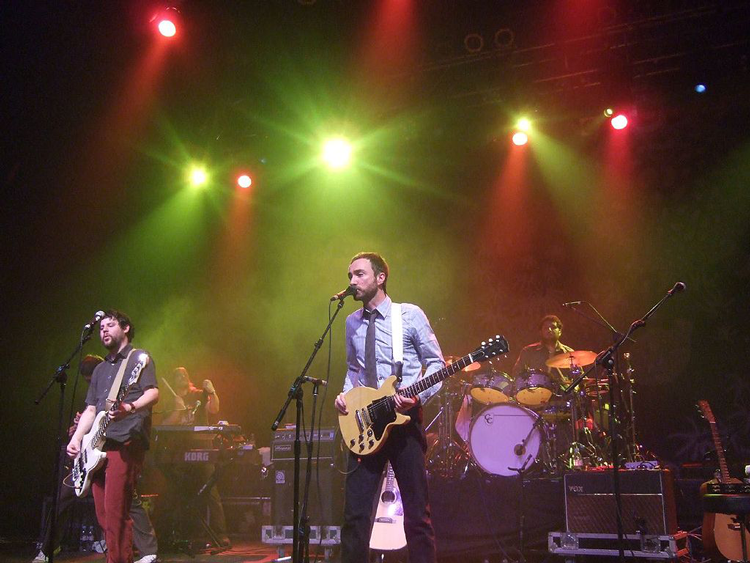 Formed in Albuquerque, but based in Portland, The Shins are a source of local pride for many Portlanders. Their first album, “Oh, Inverted World,” was released in 2001 and their most recent, “Heartworms,” was released in March 2017 — with three full-length albums released in between, so they’re definitely not slowing down any time soon. You may know Zooey Deschanel from “Elf”, “New Girl” and “500 Days of Summer”, but did you know she’s part of the musical duo She & Him? Teamed up with M. Ward, the band has released both original songs and Christmas albums, both of which have captivated soothing duet and indie folk lovers since the first release in 2008. Looking for more Portland music? 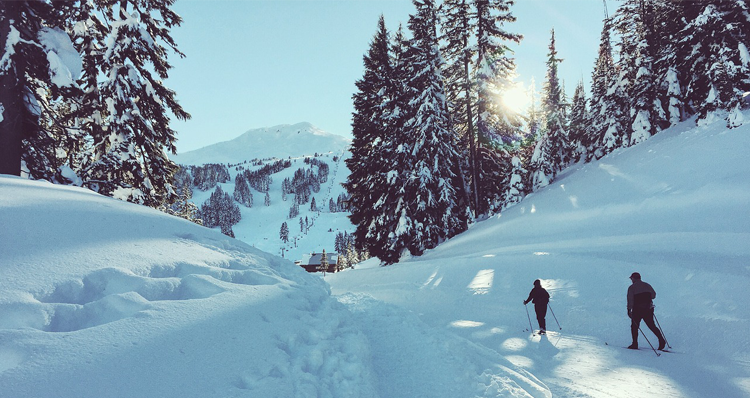 Check out some of our favorite local artists that should be on every Portlander’s Spotify playlist (complete with a Spotify playlist to get you started). If you’ve learned anything from this guide, it’s that music lovers blend in quite well in this musical city, whether you prefer underground electronic, heavy metal, rock, jazz, folk, classical or any combination of the above. 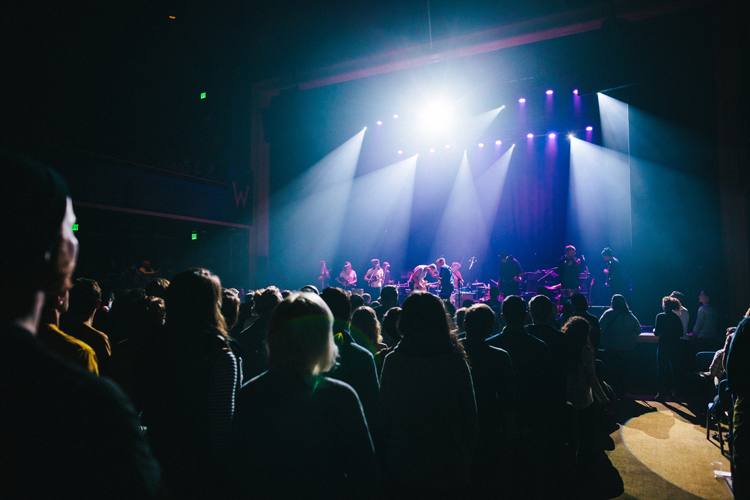 Let us know what local insight you’d like to share with the music community in Portland!